If you suffer from chronic back pain or love someone who does, you know it’s the kind of thing you wouldn’t wish on your worst enemy. Many police officers suffer from back pain—a result from spending too much time in a sitting position and then having to spring into high-speed action in a fraction of a second. That’s not exactly something the human body was designed to be able to do. 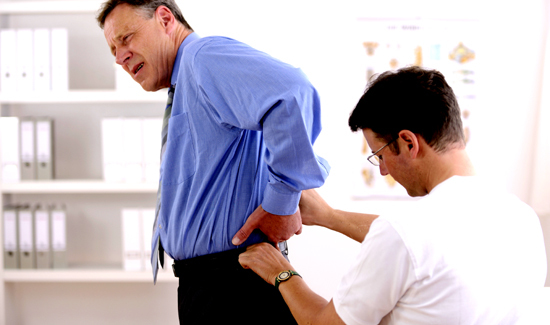 There are a wide variety of causes of chronic back pain and very little offered in the way of effective treatment. That’s why really good chiropractors like Australia’s Dr. Ian—who’s shown performing something of a miracle in the video above—are in high demand. However, licensing rules and other standards vary widely from country to country, making the odds of finding a practitioner like Dr. Ian in the U.S. are pretty slim. In addition, there are all kinds of back pain, everything from stiffness and joint pain to a lack of mobility and sitting too much without standing up and stretching out once an hour like we’re supposed to. The young man who is being treated by Dr. Ian suffers from far more serious spinal malfunction. For anyone whose ever suffered debilitating back pain or watched a friend or family member suffer, watching this guy go to work on a messed-up spine might feel like a religious experience.